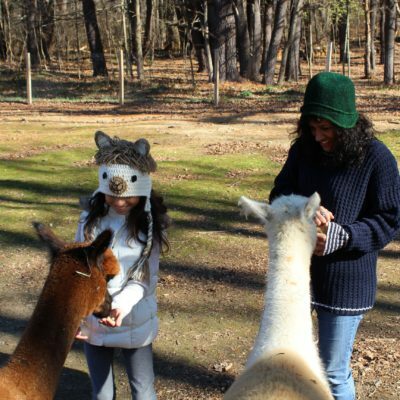 This is a group walk – up to 4 people will be walking alpacas in this fun experience. 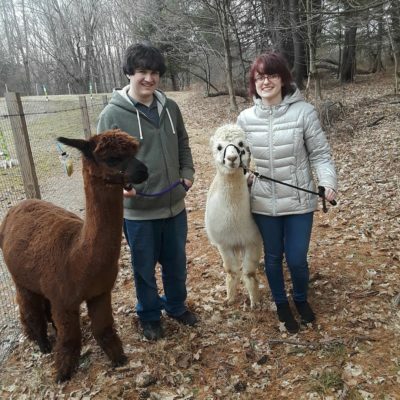 Walk with the group – each person walks their own alpaca. We hike the property with the alpacas on this fun excursion. Age 9 and older. This is for April 27, 2019 at 3 PM. Please come 10 minutes ahead of time. Walk starts on time – the group starts promptly on time. Please let us know the names of the people who will be participating in the program. If you wish to enjoy hanging out with an alpaca and not walk it please select our Super Buddy option. By purchasing this product, you and all persons in your party have read and agreed to our farm release. Please click here for release. Please choose local pickup for shipping on this product.